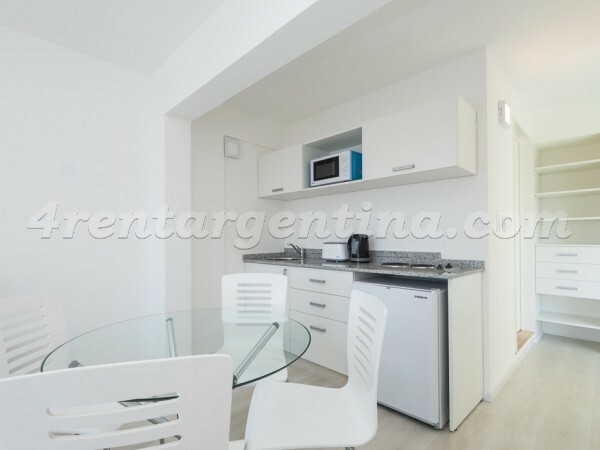 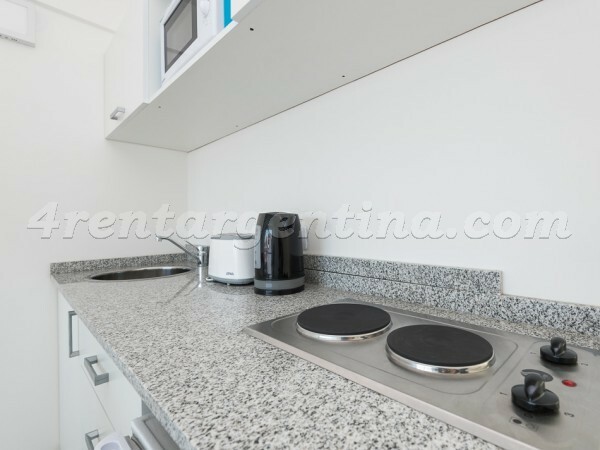 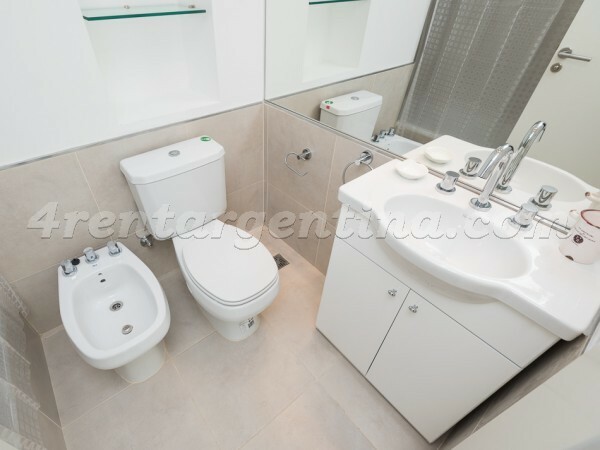 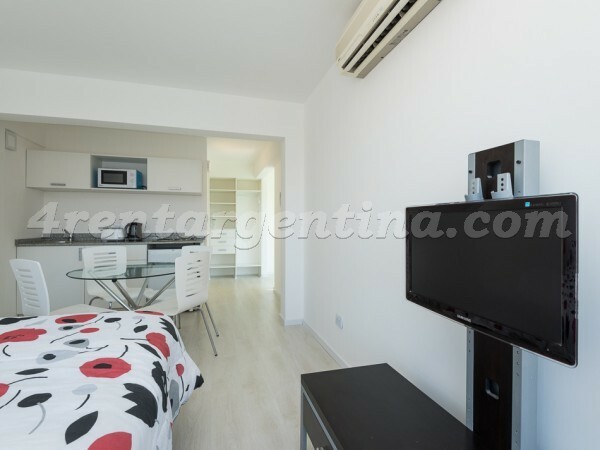 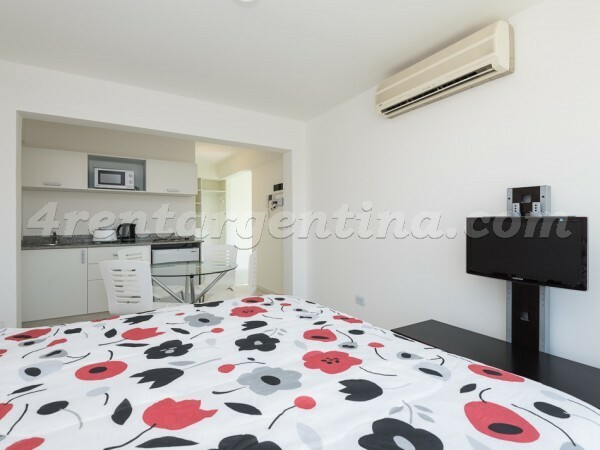 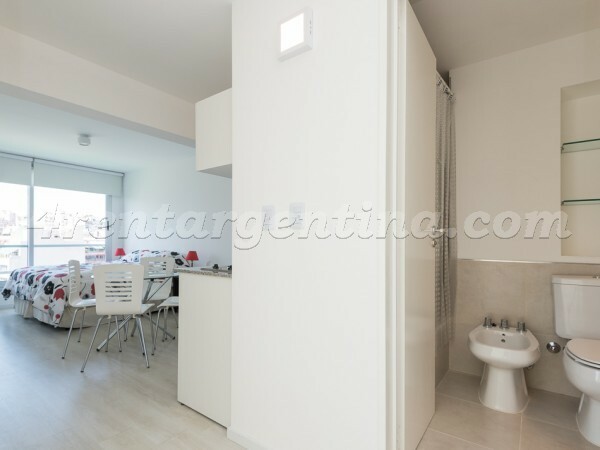 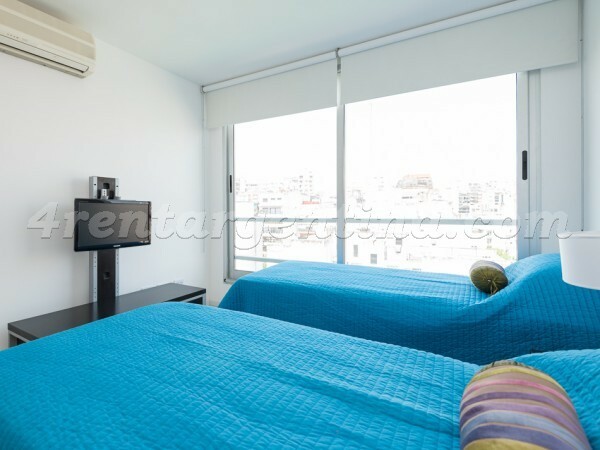 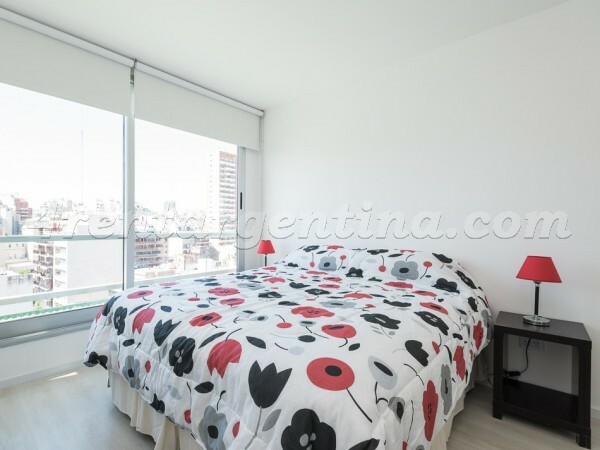 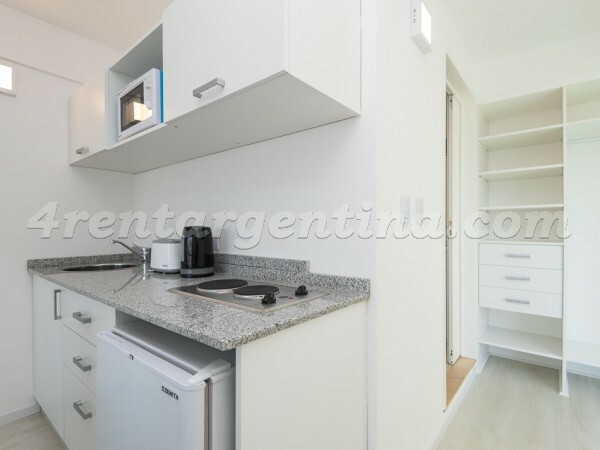 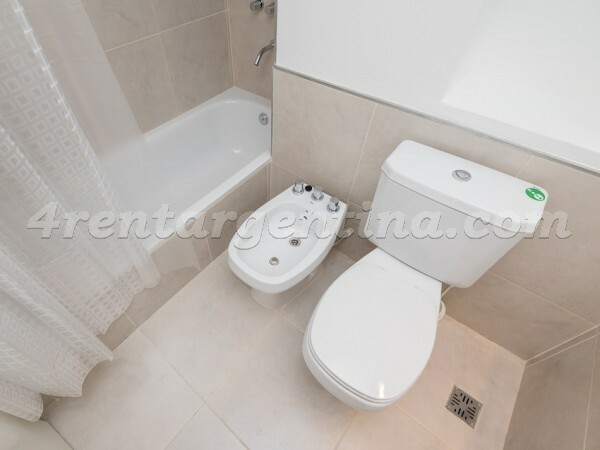 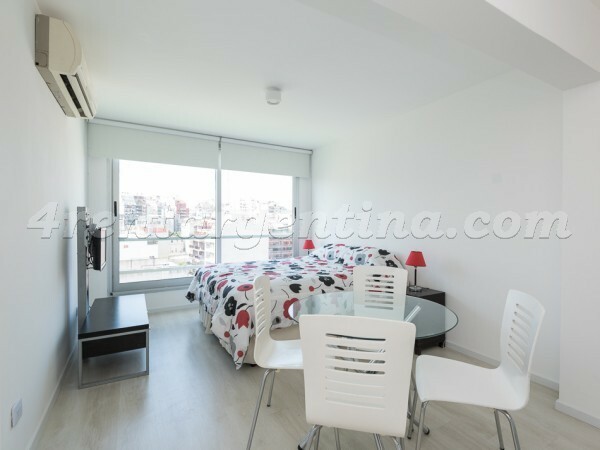 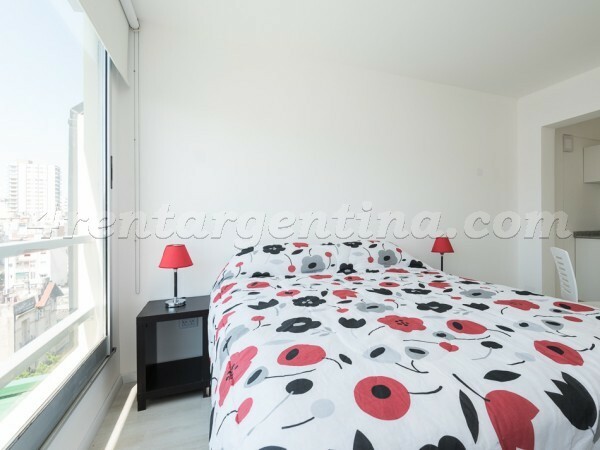 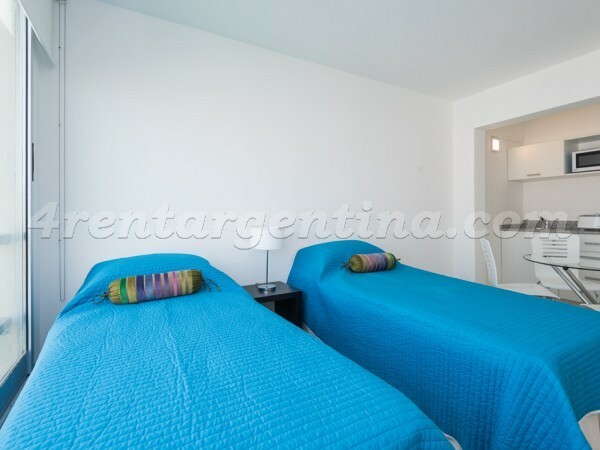 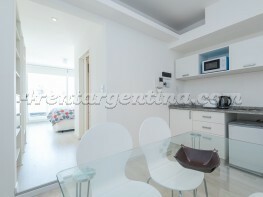 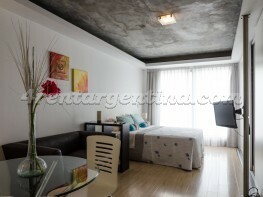 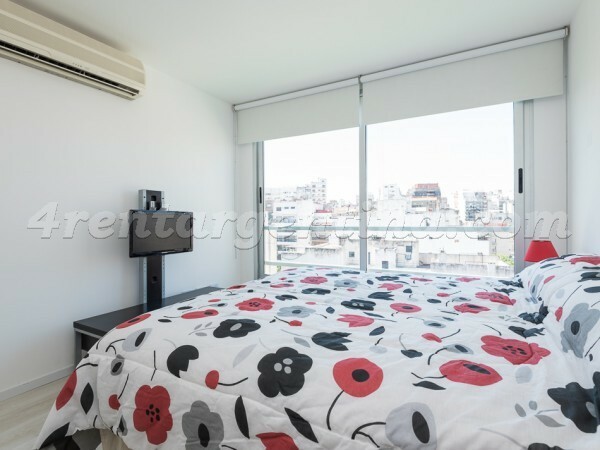 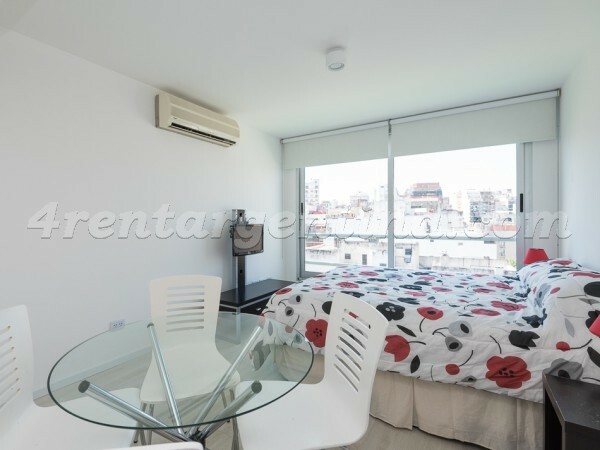 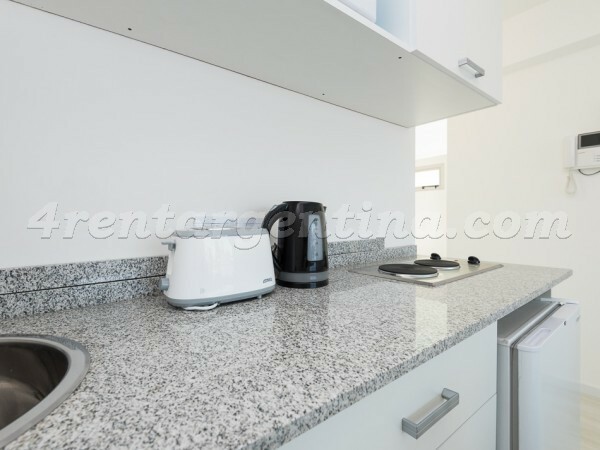 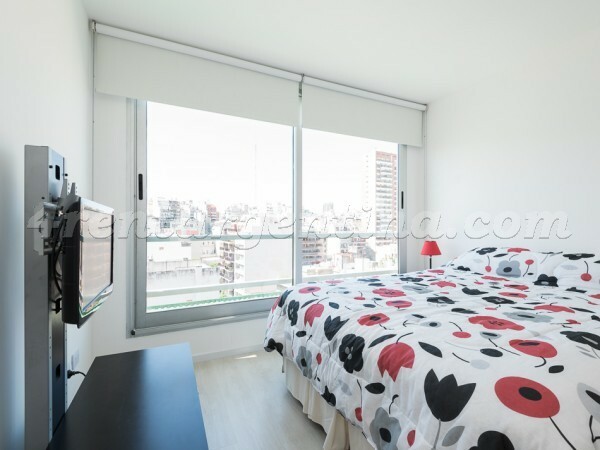 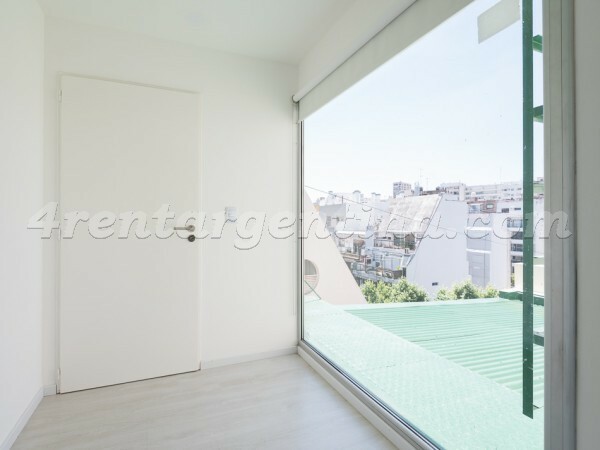 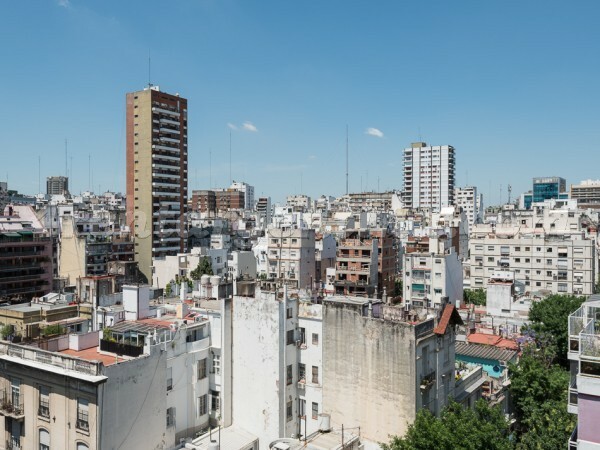 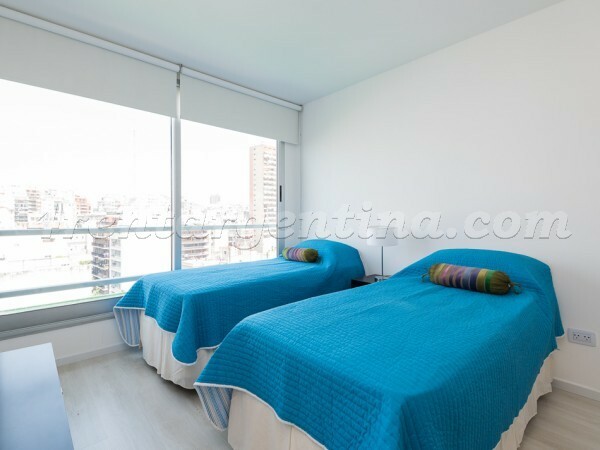 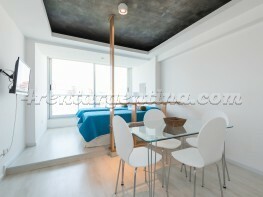 Bright furnished apartment for temporary rent in Buenos Aires, located in the old and prestigious neighborhood of La Recoleta, aa few blocks from the thundering and modern Santa Fe Avenue as well as the emblematic cemetery. 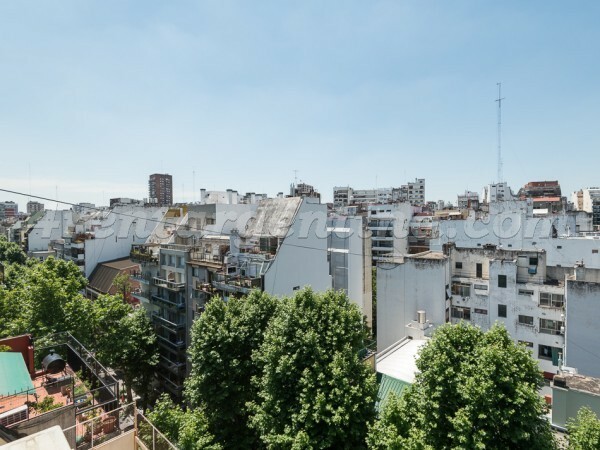 The area is also surrounded by several means of transportation and many green spaces. 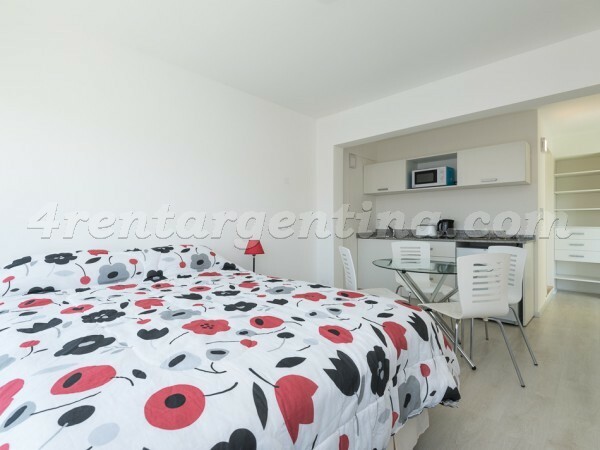 This studio apartment is ideal for two people, since it has two single beds that can be turned into a double bed, a fully-equipped kitchen with electrical stove and a full bathroom. 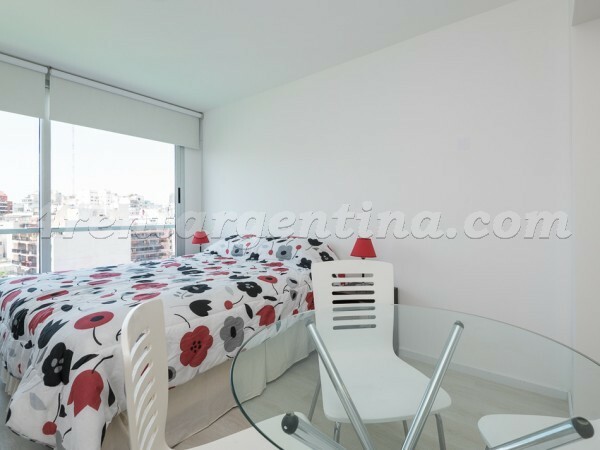 To know this beautiful apartment you will have to walk a floor by stairs, as the elevator completes its tour on the 9th floor.